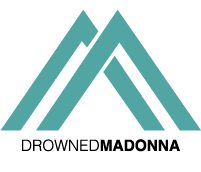 Madonna is going to announce this afternoon on her website and Instagram that she is releasing a Design Overlay Pack through the Studio App available on iTunes. This design pack contains over 50 designs people can put on top of their photos. They include quotes, icons, and sayings that she believes in. For those unfamiliar with the Studio App, anyone can add design to their photos from the app, and then post those photos to Instagram, Facebook, Twitter, or save to your camera roll for use. Simple choose a photo, then choose an overlay from any pack (including the Madonna pack), and put it on your photo. You can add as many design overlays as you want on each photo.